Gaijin Kanpai Ep.142 - "Rimshot!" Hurray! 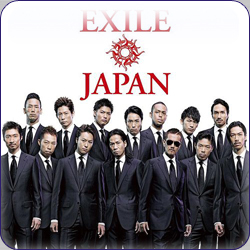 It's time to review an EXILE album! /sarcasm. After this episode, I now think of EXILE as AKB48 with penises. Charming, aren't I? Which one is KojiHaru, I wonder...? Hey guess what? SiD still blows and are a shadow of their former selves. Also, NOTES! - Comments work on the site again! - Jaylee loves game music, and Tokyo Jihen! - Ayu gets a divorce! - Never married in Japan! - Tokyo Jihen gets a divorce! - AKB48 100 song Live! 25 on youtube!